Heavy Hauler Folding Platform Truck- 300 lbs. The Heavy Hauler folding platform truck can carry up to 300 lbs. 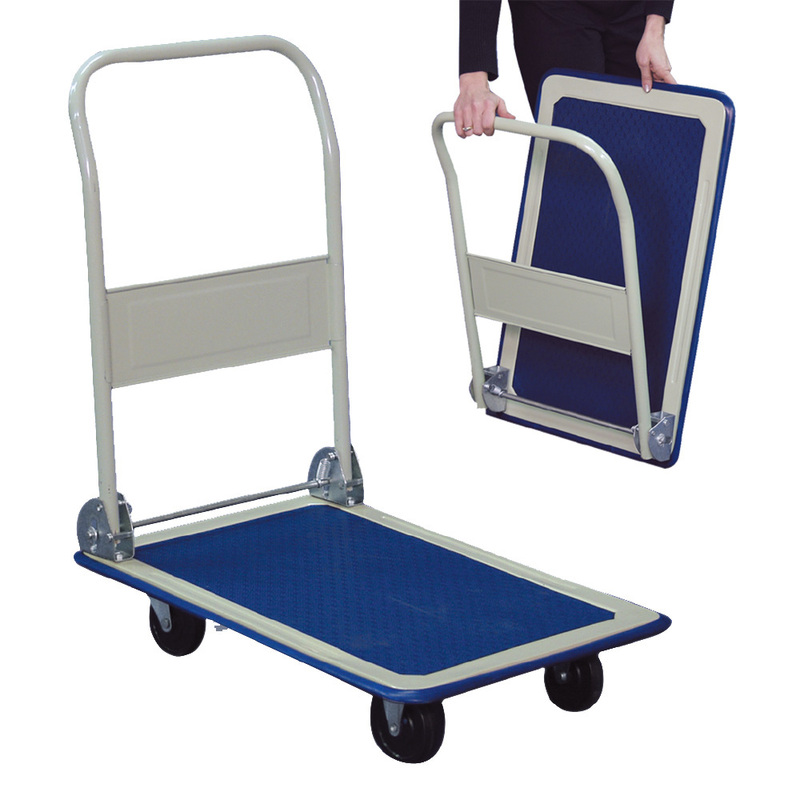 of merchandise making it one of the most durable and versatile flatbed hand trucks available. The Heavy Hauler hand truck folds for easy storage. Folding handle measures 27 inches high. Heavy-gauge pressed steel with high impact rubber wheels and a rubber carpeted platform. 29 1/4 in. L x 18 in. W.